Not to be confused with Glacier National Park in Montana, Glacier Bay National Park & Preserve in Alaska (NPS website) is a spectacular location that one can easily spend a full day exploring from the water. In fact, National Park rangers come on board cruise ships to offer lectures and narrate over the ship’s speakers some of the history, wildlife, and explanation of the hanging and tidewater glaciers in the park. 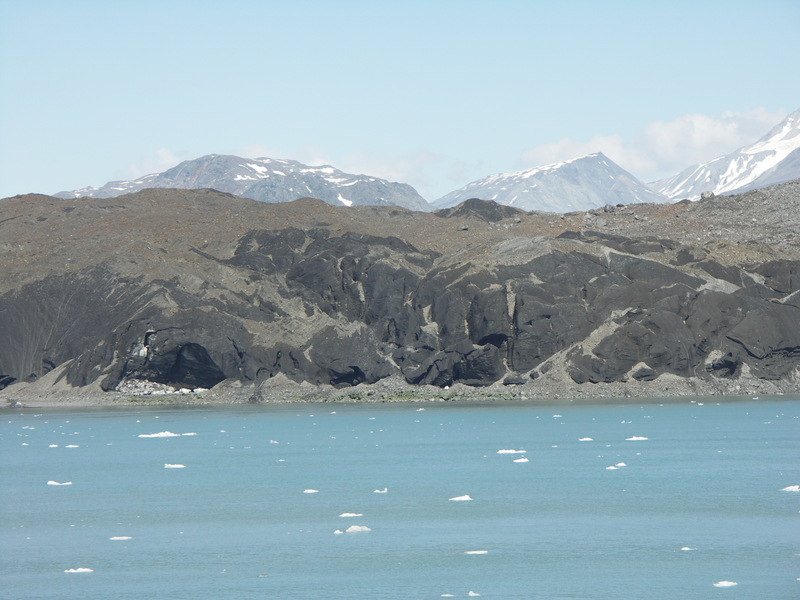 Interestingly, not long before I visited (I was in GBNP on July 7th), the Lamplugh Glacier had a slide on June 28th where more than 130 tons of rock spilled own, causing this once-blue glacier to turn brown. Some aerial photos and satellite images from this rock avalanche are captured in blog posts here and here. I was able to see several small calving events – which were impossible to catch with my camera! I was able to grab this small video clip of ice breaking, which made quite the loud cracking, thunderous sound! The history of exploration and establishment of the park is also interesting for those that might enjoy more than the glacier landforms. In 1925, it was President Coolidge that declared this area a National Monument (only the President needs to approve a national monument). It wasn’t until 1980 when President Jimmy Carter signed the Alaska National Interest Lands Conservation Act that created Glacier Bay National Park and Preserve. Visit the park website to learn more about is history and nature.